This park has it all! Six Flags New England combines water rides with an impressive line up of roller coasters to provide for a full day of fun. Start off on dry land with either the Bizarro or the Batman both roller coasters designed for a thrilling start to your day! Reaching speeds of 77 mph, the Bizarro is ready to rock your socks as you head through tunnels, in and out of the daylight, riding curves and bends. Similarly, Batman's roller coaster will thrill even the most die hard thrill seeker with no floor, no visible track and many 360 degrees loops! With no breaks, this ride will keep you coming back for more! For additional g-force fun, try out the Buzzsaw where you and the crew will buckle in to a large gondola that swings up and down before making a complete 360! Don't leave without checking out the enormous Flashback roller coaster with 117 foot rails and speeds of up to 47 mph, or the Mind Eraser a twisted coaster providing 90 foot curves and 55 mph speeds! For water enthusiasts, head on over to the Bonzai Pipelines where 6 lanes take guests down via a body slide to the cooling waters below, or the equally popular Cannonball Falls! Grab a raft and speed down the super speedy tube slides at the Shark Attack! There are many water rides to enjoy at Six Flags New England! For a gentler ride, try out the Adventure River, a lazy river designed to relax its guests as they saunter down the calming river. Commotion Ocean too is popular as its 500,000 gallon wave pool entices in families and friends for a relaxing couple of hours. Unlimited admission to Six Flags New England Unlimited admission to ALL Six Flags theme parks including Six Flags Great Adventure Bonus free friend ticket for SUPERMAN Pass Holders on select day Includes park admission to Fright Fest Includes park admission to Holiday in the Park Tons of additional SUPERMAN edition benefits. All of the regular Season Pass or Membership benefits Season or Membership Parking for each Gold Pass Holder Extra Bring-A-Friend Free ticket on select days Bonus free friend ticket for SUPERMAN Pass Holders on select day Tons of additional SUPERMAN edition benefits. Other Specials & Coupons To view Six Flags New England Admission Tickets, other Specials and Coupons, go to their special page by clicking here. Six Flags New England updates this page throughout the year, so check back to see if new specials and coupons have come in. 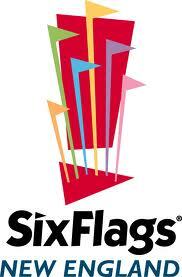 Note to our visitors Six Flags New England coupons and specials can change without notice. So please visit their official website to make sure of the latest pricing and coupons.